Eildon Housing Association in partnership with Hart Builders were delighted to win at the first ever Scottish Procurement Alliance (SPA) for the Best Community Benefit Initiative Award, for their creation of a dedicated Community Benefits Project Officer. 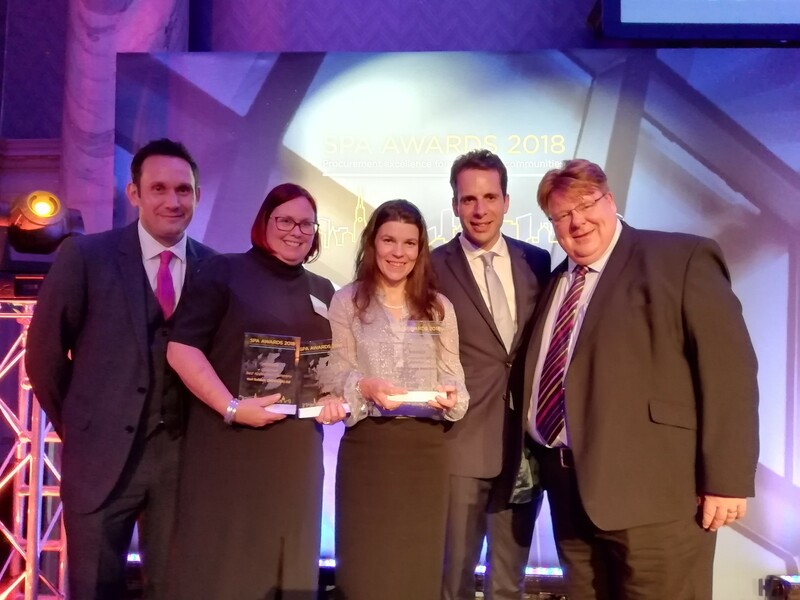 The ceremony took place at the Grand Central Hotel in Glasgow on Wednesday 3 October when Community Benefits Project Officer, Alison Lowrie, was delighted to receive the award on behalf of both companies. The entries sought had been ones that demonstrated a positive social impact on their community, no matter what size or scope and were judged by Alice Thompson, co-founder of Social Bite. Scottish Procurement Alliance commented that they had been impressed by the high quality of entries received for all their awards categories, including the Best Community Benefit Fund.